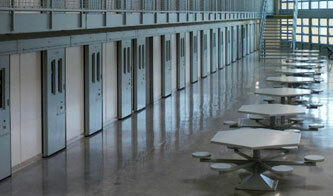 Security is an important investment for a detention facility. To ensure audio reliability, Tech Works’ Integrated Intercom is included with customized security solutions for jail controls, integrated security, alarm management, as well as nurse call systems. The clear communications from the intercom supports and enhances the efficiency, operations dependability, and safety features offered with each of these systems. These enhancements allow facilities features such as programmable paging, scanning, and monitoring; clear audio to door, beds, and rooms as well as customized communication options to your current systems. In addition to customized solutions, these integrated products were also designed to work with existing systems as repair parts or components. Whether it is a PLC/Touch screen or existing analog switches, these solutions were designed for easy installation and integration to the other systems your organization uses.